I’m calling this post a Hawaiian coffee date because I’m drinking coffee from Hawaii as I’m writing it. I wish I could pour you a cup! 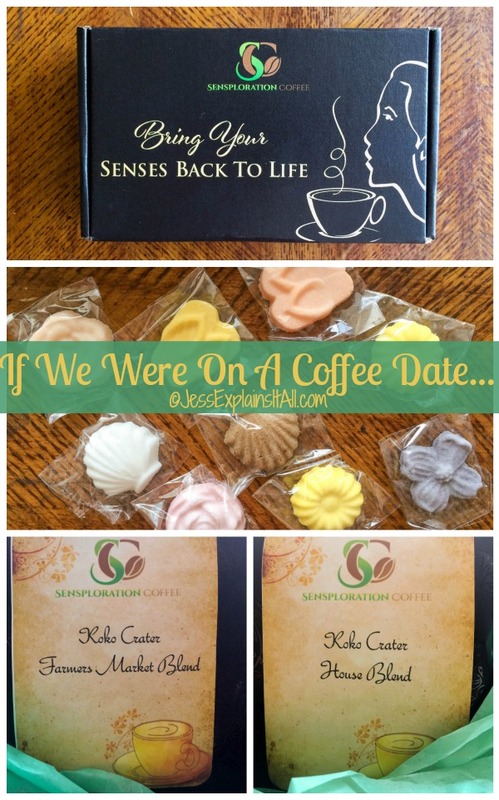 I was recently given a coffee subscription box for free from Sensploration Coffee. If you’ve never had a coffee subscription I highly recommend them! They send you a box every month, and you get to try all different kinds of flavors and coffees (and some cute sweeteners!). The box I’m testing has some really lovely beans from Hawaii that produce very smooth coffee! Thanks Sensploration Coffee for providing our coffee for today’s coffee date – it’s delicious! If we were on a coffee date… I’d tell you that you might want to brew a little extra coffee today, I’ve got so much to tell you!! If we were on a coffee date I’d tell you to keep a lookout for my newsletter… I’ve been wanting to start a newsletter for a while to keep you up to date with all of my posts and I’m hoping to get it up and running before the end of May. Keep your eyes peeled! I’ll let you know when I’ve got it all together! If we were on a coffee date I’d share some good news… April has been a great month for the blog! 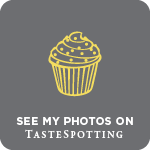 I have gotten a few of my recipes accepted to foodgawker and tastespotting this month! 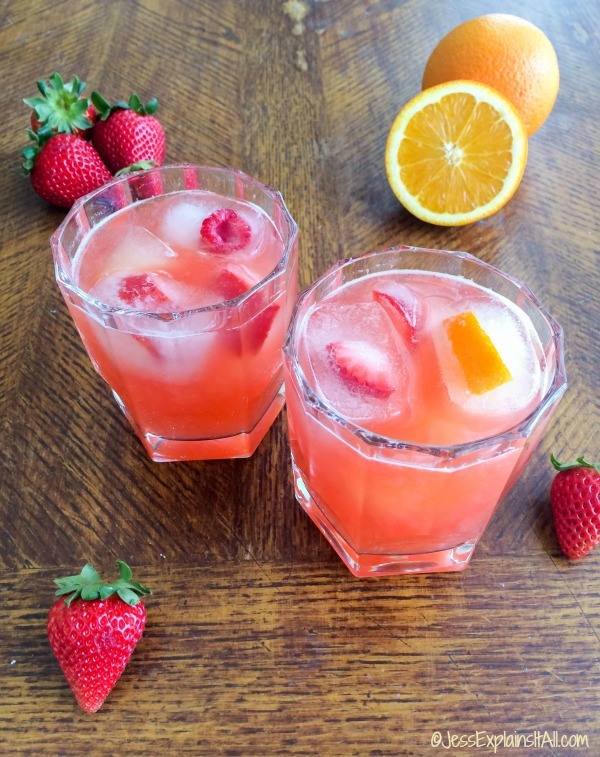 Specifically my recipes for Easy Chicken Fajitas, Burrata Bruschetta, Mexican Mac And Cheese and my recipe for a Tropical Mocktail. It makes me so excited to have my photos accepted to those sites. 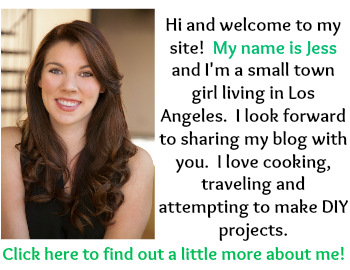 I think it will allow me to share my recipes with a lot more people which is really cool! If we were on a coffee date I’d ask you about social media… I love social media! I think it’s a great way to share my blog content, and it’s nice to keep in touch with old friends I don’t see often. Instagram is my favorite (check out my insta account here), because I LOVE PHOTOGRAPHY, and also because I think it provides a nice snapshot of a moment in time in someone’s life that they’ve chosen to share with their followers. Which is your favorite social media? I’m super curious!! I’d love to share more content on social media and if you have a specific platform you prefer I’d love to know! If we were on a coffee date I’d tell you about the new content I’m working on… Most of the posts I’ve shared with you are recipes or tips about food, drinks and kitchen items! I still want to keep doing all of those kind of posts (because I love cooking and sharing recipes!) but I’m also going to start incorporating more fashion and travel posts. It’s something I’ve been wanting to do for a long time, and I’ve decided that that time is now! I want to travel all over the place, and I’d love to share my trips to these new places with you! I’ve loved sharing previous travel posts, like that time I did an impromptu 17 mile bike ride in Redondo Beach. I have the longest travel bucket list ever, and I’d love to check some cities off of it! I also want to explore style more, and the fashion posts I’ve done in the past have been so much fun! This one is my favorite I’ve done so far! If we were on a coffee date I’d talk to you about the addiction that is netflix… I love to have background noise on when I’m at home, whether it’s music, or tv, I just like to have something to cut the silence. I finished up re-listening-to Psych the other day (it’s really great for a quick 30 minute comedy show) and am now on to Bones (which has great characters and riveting murder mysteries!). They’re both good shows, if you’re looking for a new one to watch. If we were on a coffee date I’d tell you about to-do lists… I am IN LOVE with to-do lists. Is that weird? Maybe, but I just love them. I love crossing things off lists. It’s so gratifying to be done with projects! 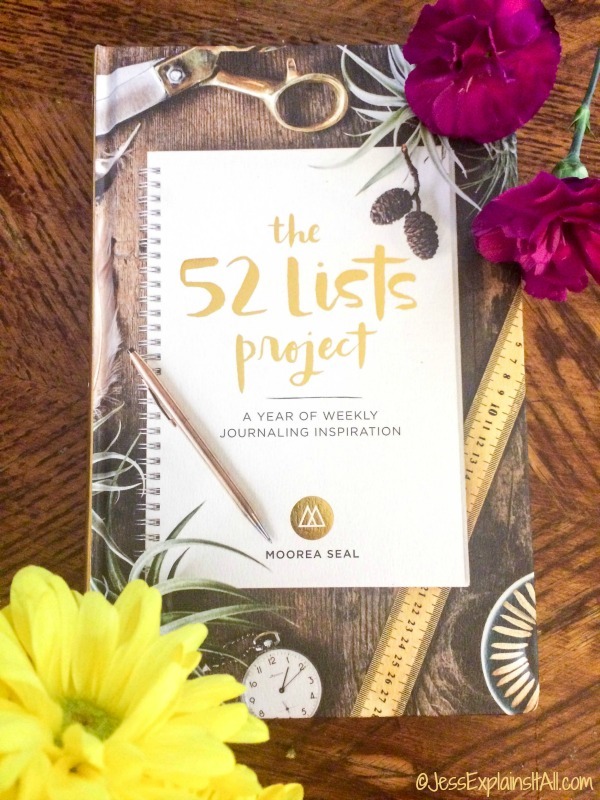 I recently found a great journal called The 52 Lists Project. It’s a book of inspiring journaling lists (one for each week). And they’re fun lists too. I literally just opened the book to a random page to give you an example and it was “list the things that make your sprit feel free”. I mean seriously, how wonderful is that?! ??? Check out this journal, seriously – it will make a positive impact in your life! If we were on a coffee date I’d talk to you about a goal I’m working towards… As I mentioned above, I’m sort of mildly (read, not so mildly) obsessed with photography. I would love to take my photography to the next level, so I am saving up for a DSLR right now! All my photos on the blog up to this point have been taken with my iPhone and I think I’ve learned some neat tricks to make them look good, but I know having a DSLR would help so much. This goal is a long way out, but I’m excited to be working towards it! If you have any recommendations for good DSLRs I would love to hear your thoughts in the comments! If we were on a coffee date I’d talk to you about flowers… Spring is one of my favorite times of year because so many flowers are in bloom! I walk to work, and the path I take is about a mile. I love waking up in the morning and going down that path because it’s filled with so many beautiful flowering trees! 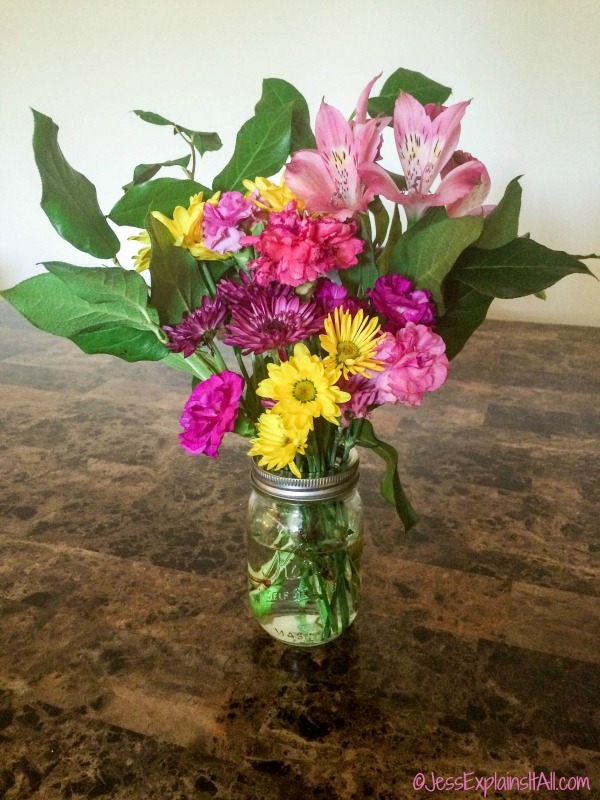 I love grabbing a few when I can and putting them in a mason jar to brighten up my apartment! If we were on a coffee date I’d want to hear all your stories… I know that we are only on a virtual coffee date, but I’d love to hear more about you too! Leave me a comment and let me know something you’re excited and passionate about right now or for the coming month! Or leave funny joke! I’d love to hear from you and get to know you too! Thanks again to Sensploration Coffee for supplying the coffee for our coffee date today! Check them out if you get the chance, the Koko Crater Farmers Market Blend is amazing! If I were on a coffee date with you, I would take you to Lilly’s Pizza in Raleigh, NC to catch up! Thanks! I’m glad you liked reading it, because I love writing this type of post! I love this idea! It’s so nice to think of a post like a great coffee date with a friend! I also love Instagram. I enjoy seeing peoples photography and the snapshot of their daily lives. I think it’s a great way to connect! Thanks for the thoughtful comment, Bryn! I’m glad to hear I’m not the only one who is a huge fan of Instagram – I’m borderline obsessed! 😀 Hope you had a lovely weekend. It’s so yummy! This coffee is one of the smoothest roasts I’ve had in a long time. Such a lovely post, I really enjoy the way you write. Thank you so much! What a sweet comment. What an interesting post, love the format, it really does allow the reader to get to know you a little better. I’m glad you liked reading it!